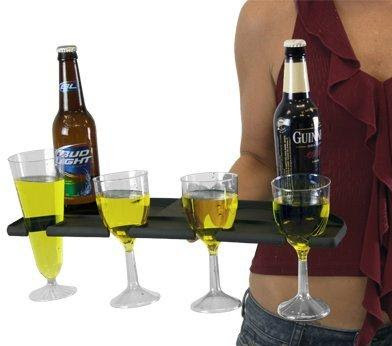 Collection of 'Coolest Drinking Gadgets For You' from all over the world. 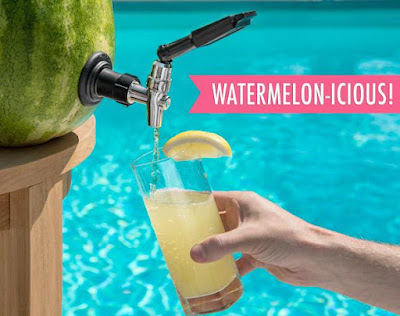 Watermelon Drum: This system transforms any melon into a cool beverage drum that's perfect for your party, picnic or BBQs. All you need to do is take a watermelon cut off the top and bottom, scoop it out, make a hole for tap, and tap the melon. Now when you fill this watermelon with your favorite beverage its sure to have a touch and essence of watermelon in it. Refreshing! Buy Now: $19.99. Fridge Monkey: Fridge Monkey is your solution to get you organized while storing the bottles in the refrigerator. 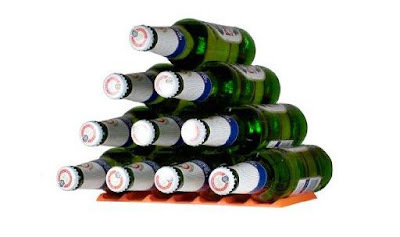 This flexible rubber mat maximizes storage space in your fridge, all you have to do is place the bottles onto the mat that forms the bottom row, the mat holds the bottles firmly in place and you can place more bottles on the top of them as you finish off the triangle for easy storage. Its ideal storage is for 10 bottles or cans, measures 9 3/4" x 4". Buy Now: $11.70. On The Rocks Set: On The Rocks Set makes it literal meaning real. 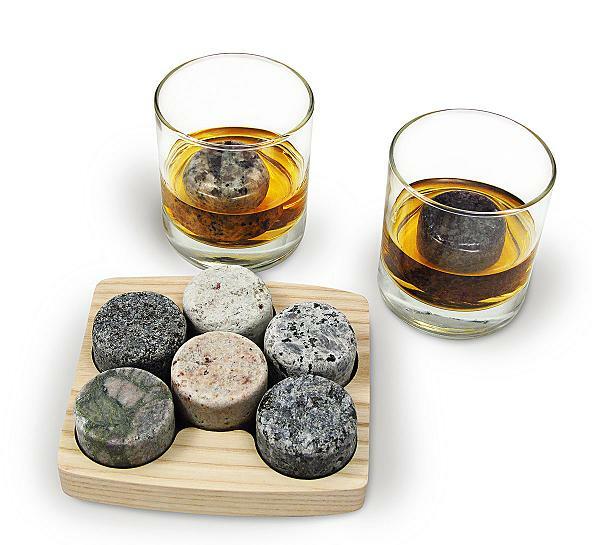 If you are one of those who feel the icecubes dilute the flavor of your drink, then On The Rocks Set is for you. On The Rocks Set is granite collected on New England beaches, these handcrafted chillers stand for five minutes in your drink and makes it perfect for you. Just put them in its tray and place them in the freezer for freezing. Buy Now: $ 36. 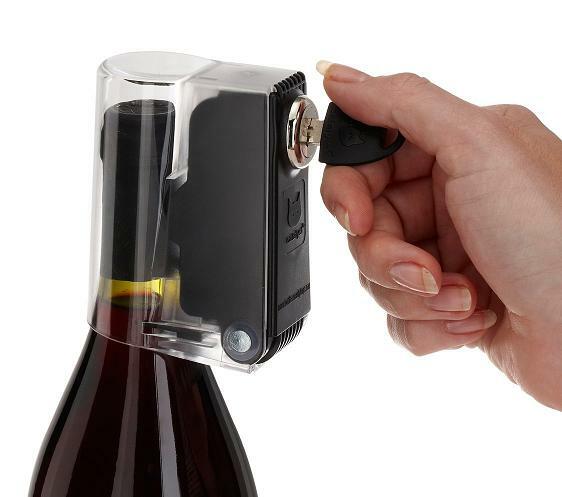 Bottle Lock: The bottle lock is perfect for safeguarding your favorite drink from others. Just put it over the neck of the bottle and lock it up. Buy Now: $48.27. 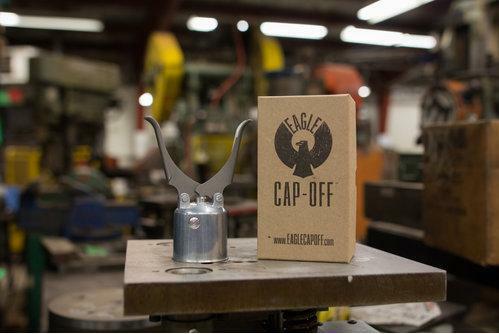 Eagle Bottle Opener: It is a high quality, durable, mechanical bottle opener that makes opening your beverage bottle a statement. Buy Now: $ 50. Fizz Keeper: Fizz Keeper re-pressurizes softdrink bottles and keeps it fresh longer. Just attach it to the plastic bottles and simply pump the bulb till the pressure builds up inside bottle and you are done. 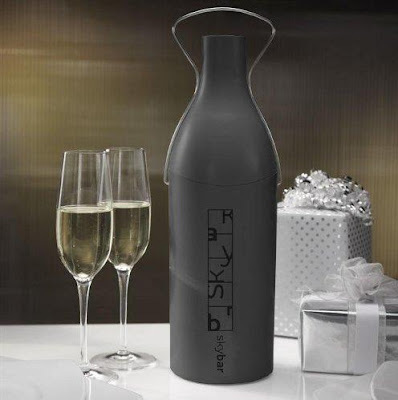 The Fizz Keeper comes in a package of 3 and works with standard sized 1, 1.5 and 2 liter bottles. Buy Now: $12. 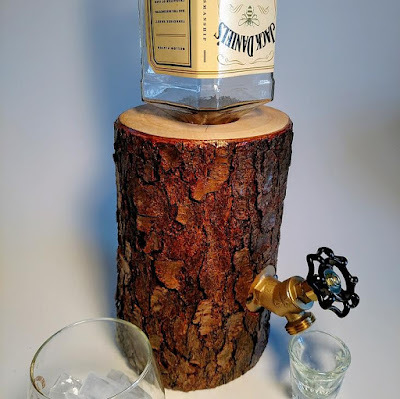 Log Drink Holder: This handcrafted log drink holder lets you showcase your favorite drinks with class and lets you have it too, just turn on the hose knob. Buy Now: $99. Automatic Tap: Automatic Tap makes pouring from large bottles easy and simple. 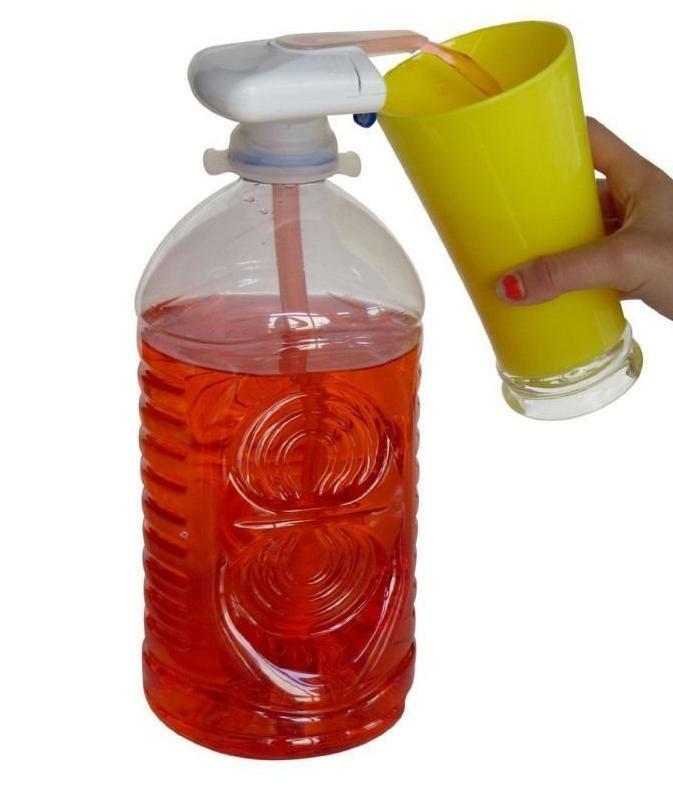 It pours your drink with a simple push of a button. 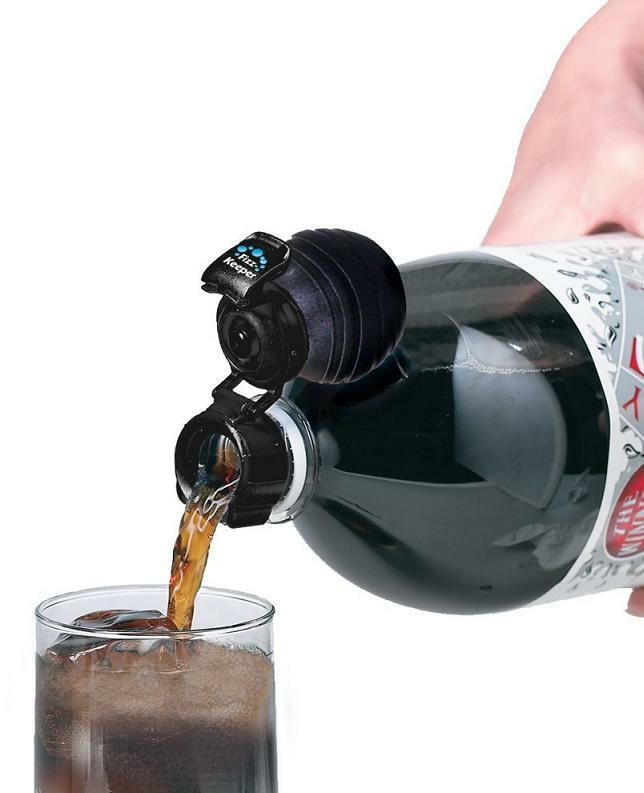 Its powered motor draws the beverage upwards and pours it into your glass. Buy Now: $6.38. 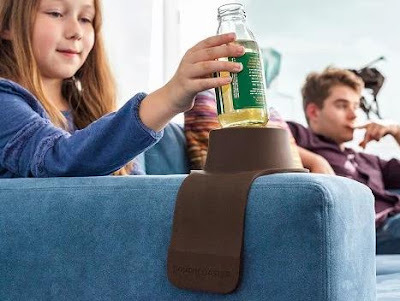 CouchCoaster: CouchCoaster is a weighted drink holder that attaches to your couch and lets you relax and sip your favorite drink. Buy Now: $19.95. Portable Table: The Portable Table is perfect for your picnic, a concert or any outdoor adventures. 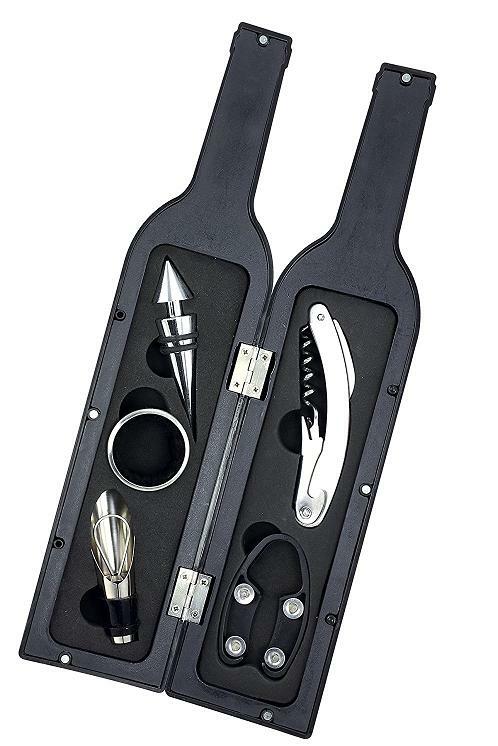 It holds your beverage bottle, glasses, and has room for a bowl of nuts, olives, or even a bouquet of flowers. 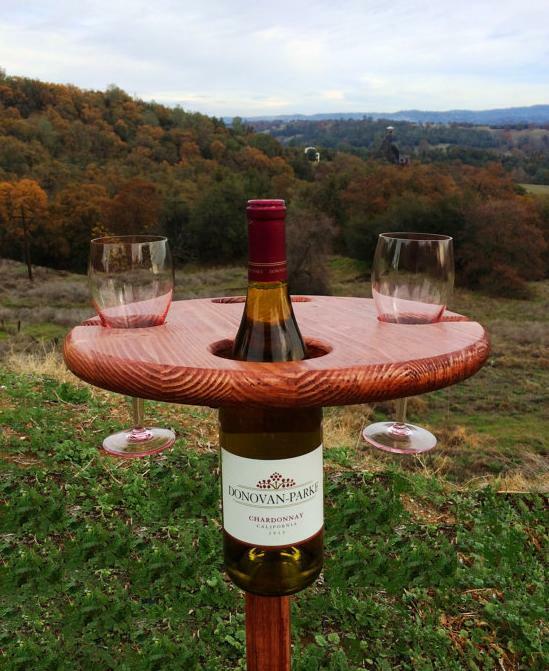 It keeps your drink off the ground, and the table height is adjustable, and it can be placed into the ground. Buy Now. 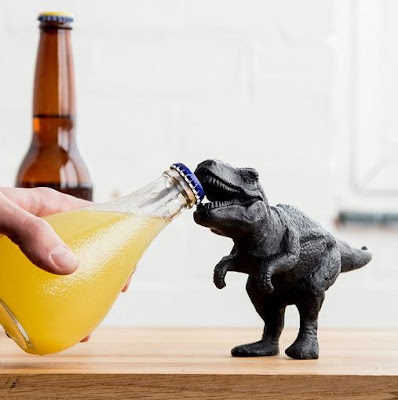 T-Rex Bottle Opener: The T-Rex Bottle Opener is fun, it opens your bottles with its super sharp teeth. Buy Now: $43. 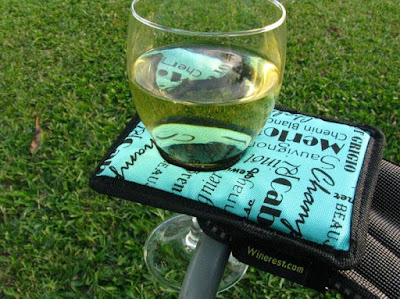 Glass Holder: The Glass Holder by Winerest is a simple thing but a very useful one. It lets you enjoy your drinks outdoors while socializing. It attaches to the armrest of your chair, and holds variety of glasses. Buy Now: $15. 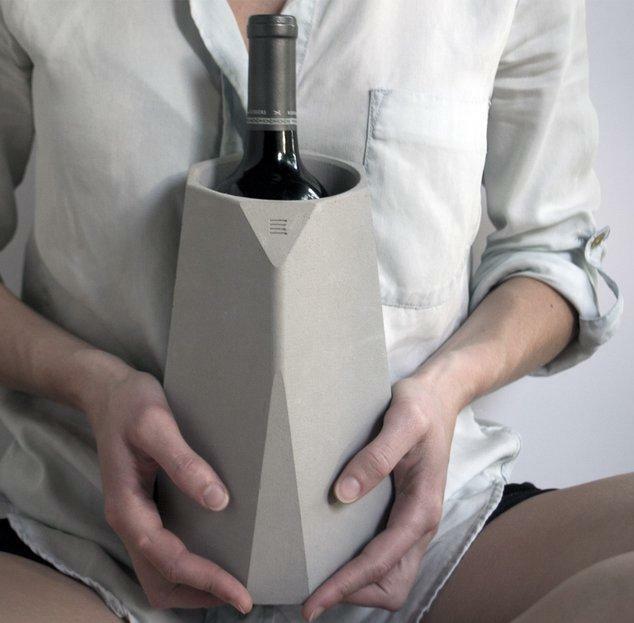 Corvi Concrete Beverage Cooler: The Corvi Concrete Beverage Cooler gives you an elegant way to store your favorite vintage. 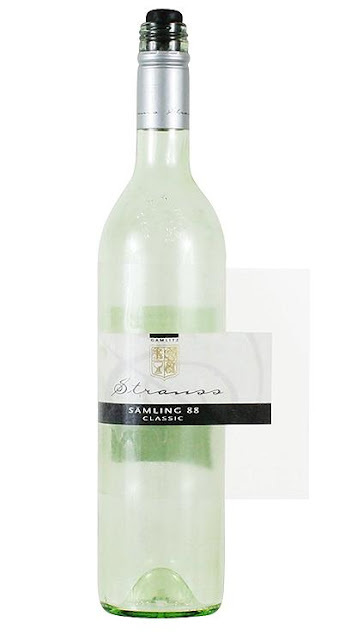 It's handcrafted from concrete, remains chilled for a long time once placed in the freezer. Buy Now: $90. 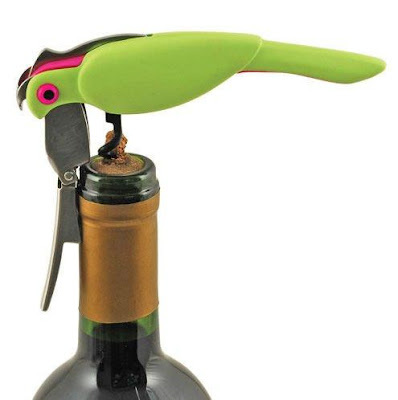 Corkatoo: Corkatoo is a bird shaped corkscrew and bottle opener. Buy Now: $18.99. Kovot 5 Piece Bottle Tools: Kovot 5 Piece Bottle Tools come in a bottle shaped container and houses 5 durable beverage essentials. Buy Now: $13.95. Stem Glass Serving Tray: The Stem Glass Serving Tray holds 4 glasses and has space for two bottles, or anything else that needs to be served. Buy Now: $20. Bottle Carrier: Skybar keeps your chilled beverage bottle cool and maintains its temperature during transportation to the party. Buy Now: $10. Label Remover: The Oenophilia Label Lift removes labels easily from the bottles and creates laminated labels to place in your journal or scrapbook. Buy Now: $19.99. 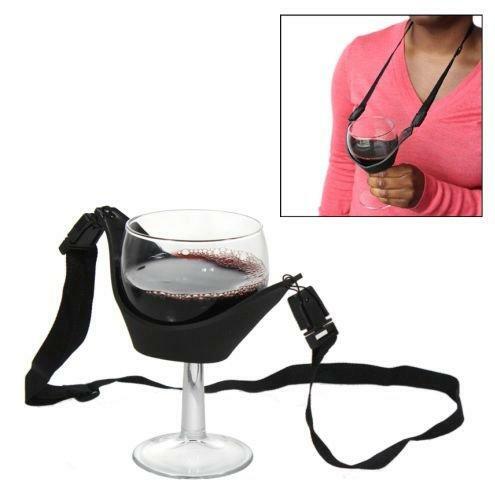 Glass Holder: The Glass Holder is a handsfree glass holder, that comes with an adjustable strap and can be placed around your neck. Buy Now: $8.49. 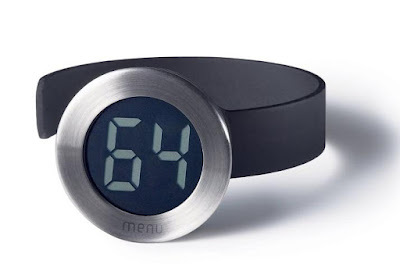 Bottle Temperature Meter: The Menu Fahrenheit Temperature Meter takes out the guess work and lets you know if your beverage is at its perfect temperature or too warm to serve. Buy Now: $14.95. Beverage Gadgets: 1 | 2 | 3 | 4 | 5 | 6.